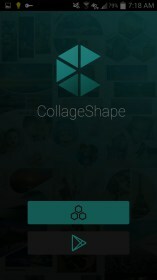 Collage Shape – Soft for Android 2018 – Free download. 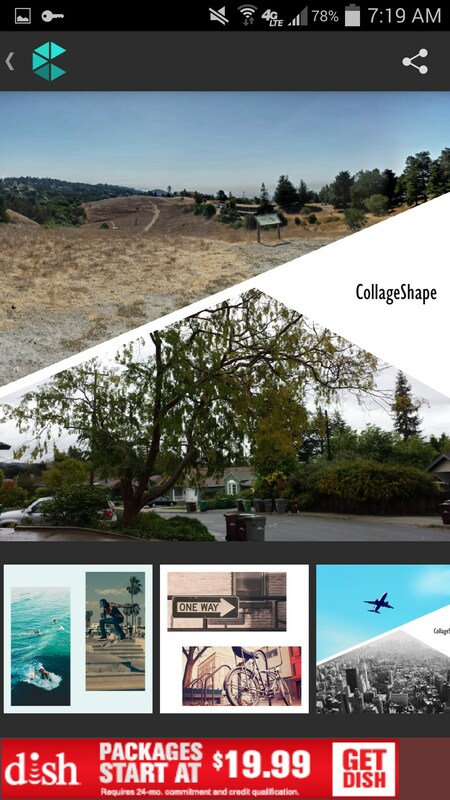 Collage Shape – Simple collage maker app with easy U.I. Collage Shape for Android is a photo application that lets you put photos alongside each other to make cool designs, matchups, or collages. There's a variety of different templates from circular designs, to hearts, to sliced angles, to even diamond shapes. 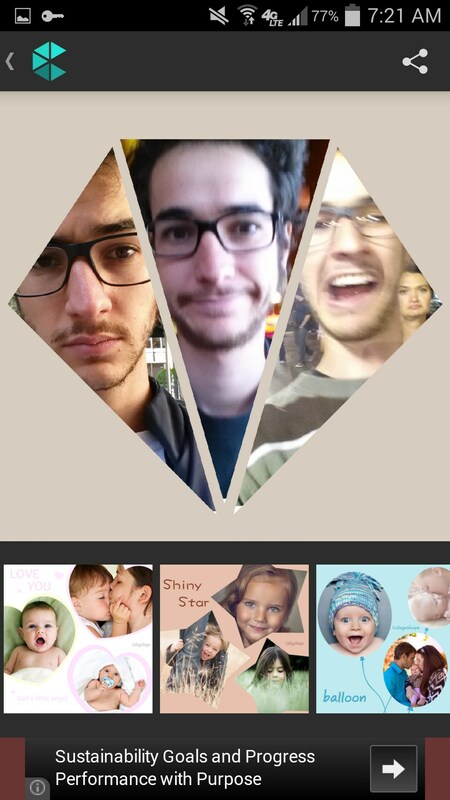 Whatever the occasion, and whatever the moment, Collage Shape will be there for you. For the most part, it feels pretty free. 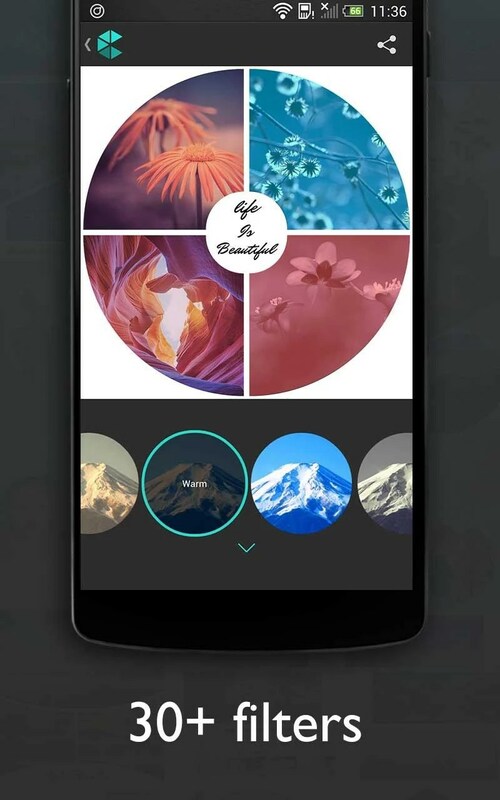 Although, some templates have CollageShape lettered onto them which ruins the experience of some of the templates and the app in general. 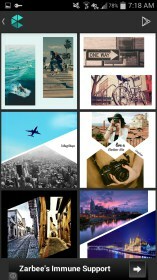 Collage Shape works very simply. You are simply shown all of the templates that already have sample pictures from a list that you scroll down. If you see one you like you simply tap it. 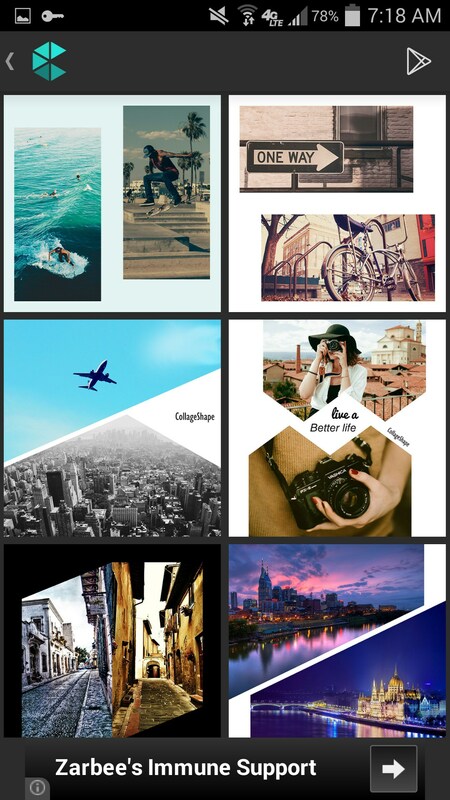 There are a few different kinds ranging from two pictures collages to four picture collages. 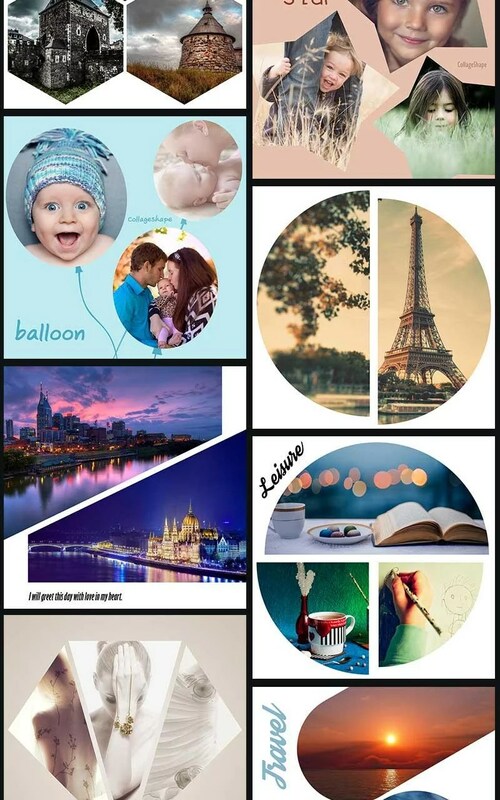 Once you have your template you can easily add your photos from your files by selecting three which appear at the bottom, and then checking it to create the collage. 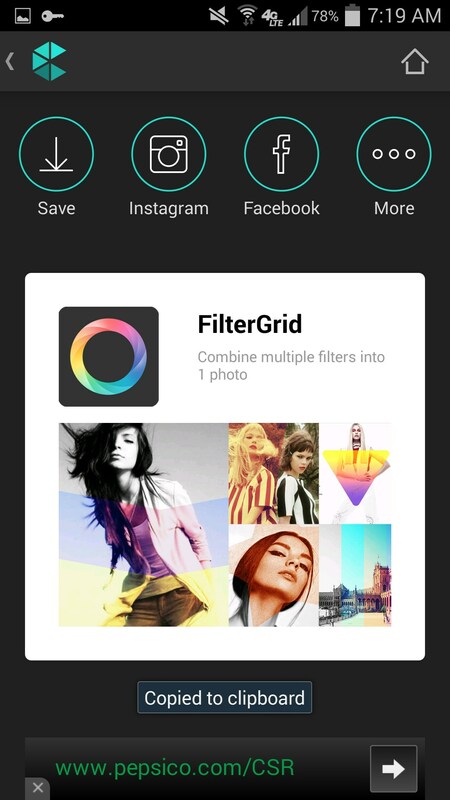 The app says it has filters, but you won’t find them easily accessed, as I couldn’t find any way to use them throughout my whole time with the app. 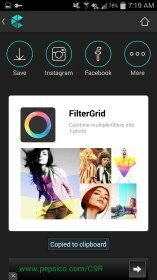 I didn’t really need any filters within the app anyway, with the wide variety of outside photo sources like Instagram or my phone’s native photo editor. 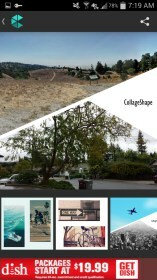 Collage Shape is a simple app with a simple function. It makes collages! 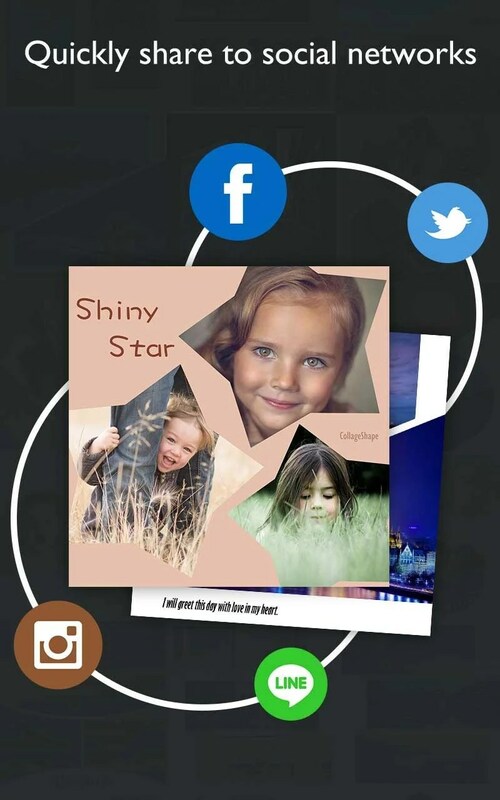 There isn’t any fancy editing or fancy picture combinations, so it would be great for a user who wants a simple experience without any added hassle - or, for adults!